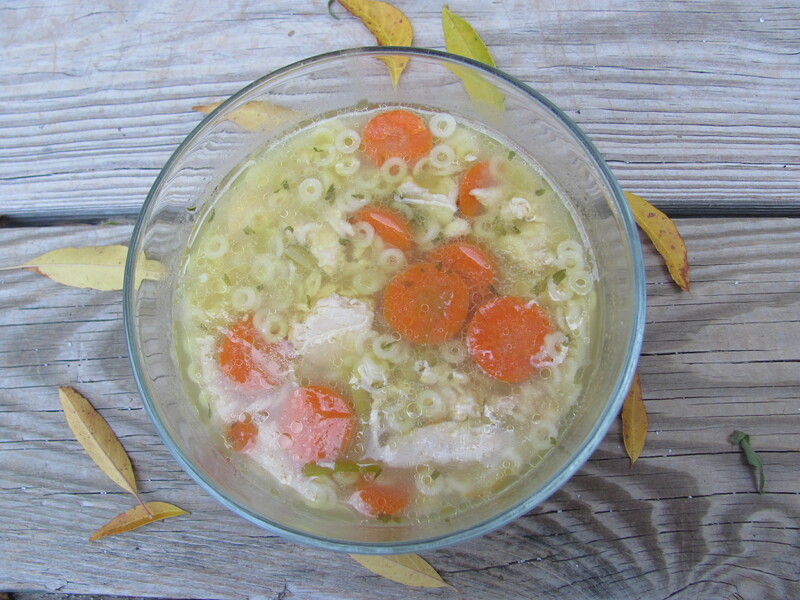 This recipe is for anyone with a winter cold, the late fall sniffles, or even an enchanting touch of early holiday flu. When you can’t smell anything, and your throat hurts, canned chicken soup actually tastes pretty good. Problem is, most of it has wheat flour. Not to worry. Like virtually anything else that is gluten-free, you can make your own, with a lot less effort than you might think. It’s Vietnamese. Banh Mi is a Vietnamese sandwich traditionally made with a wheat/rice flour baguette, so it’s totally in keeping with a rice flour baguette. 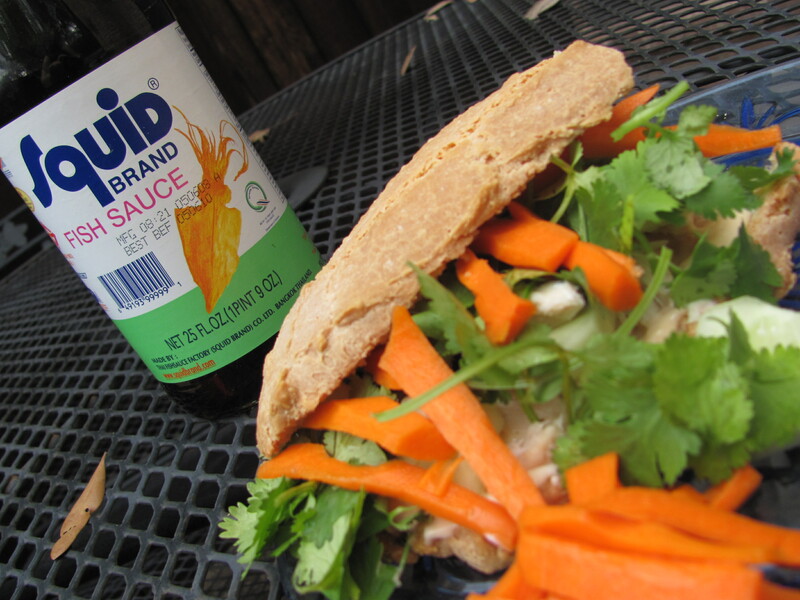 Banh Mi can have a lot of different ingredients like pulled pork, chicken, and pate, in addition to cucumbers and cilantro. Although Banh Mi is also sometimes also made with pickled daikon, it’s much easier if you just use homemade pickled carrots, which are pretty good on their own. I decided to make bannocks, or Scottish oat cakes and Cockaleekie Soup, because I have a cold and I wanted chicken soup, but not the traditional chicken soup. This is a fairly time-intensive recipe, the sort of thing you should probably only make when you’re home with a cold. Historically, this is part of a Burns supper, which is a dinner held to commemorate the life of Robert Burns, who was a Scottish poet who lived 1759-1796. It ‘s like a big party; online descriptions have scripts with multiple exhortations like, “Not too insulting.” Burns suppers also usually involve Haggis, which I have no intent of attempting. Bannocks are an exercise in becoming Zen. 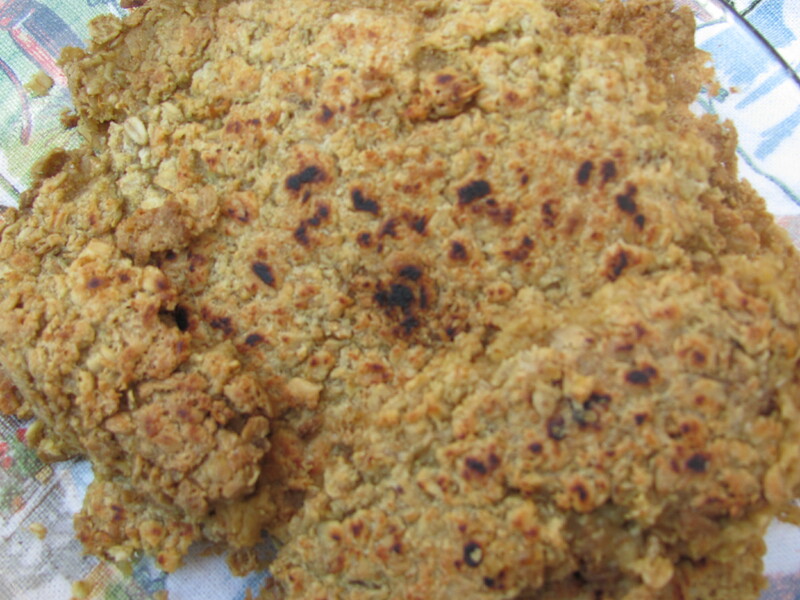 They taste fantastic, but because oats dry fast, and they crumble, not every oatcake will come out whole; they also dry fast enough that it is hard to know how long to cook them. If they start to smell even remotely burned, it’s time to flip the entire kit and caboodle, regardless of whether or not you’re sure it will stick together. Like I said, it’s very zen. Let it go. It’s 8:30 on a Sunday and I’m cooking. That’s how much I wanted this. This recipe uses one of my favorite kitchen toys. In fact, I’d hazard to say that if someone gets diagnosed with celiac, they need this right after you get an extra toaster. What is it? A breadmaker? No….it’s cheaper (and better) to buy storebought Udis after you buy all the ingredients–and homemade gluten free bread, unless you’re making something dense like Irish soda bread, is better left to the pros. Rice cooker? No. All you need for that is a pot and a burner. 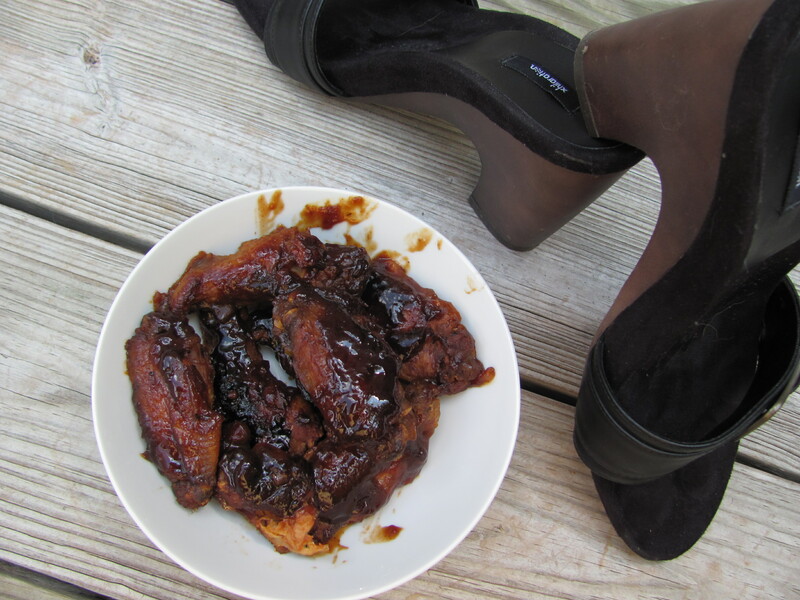 Optional: Stubb’s Barbecue Sauce, which is gluten free, for dipping. 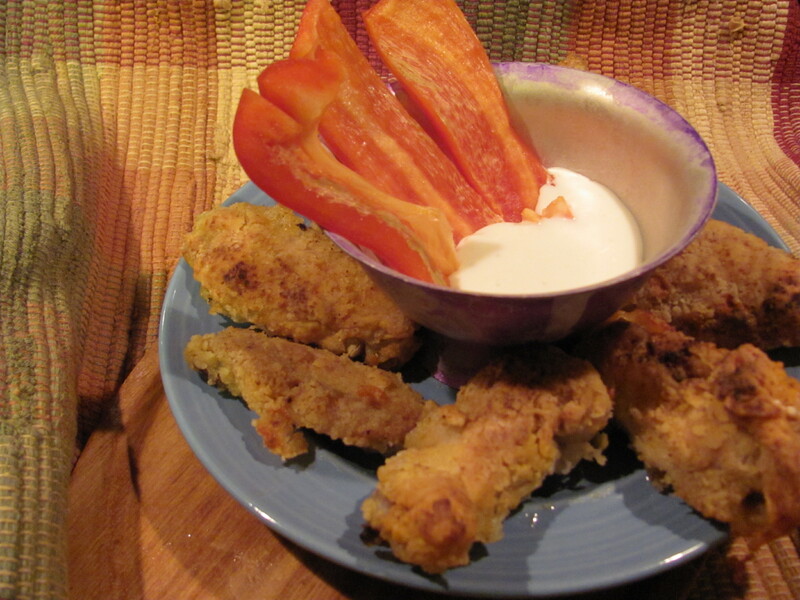 Tongs or large heat resistant serving spoons to take the chicken into and out of the deep fat fryer. Kitchen timer, small whisk, mixing bowl, small egg beating bowl. If your chicken tenders are frozen, take them out of the freezer the day before and leave them in the refrigerator for twenty-four hours in a plastic baggie around the original packaging. If your chicken is straight from the refrigerator, just proceed. Pour the canola oil to the fill line in the deep fat fryer. Beat the egg in a small bowl with a whisk. Pour one cup cold (it must be cold for this to work) water into a larger mixing bowl. Mix the egg and the water, and add the flour. Whisk rapidly. Pour extra rice flour for dredging onto a plate. Take the chicken out of the package. For food safety reasons, do not touch anything other than the chicken with your hands. Dredge the chicken in the flour and then in the batter. Cover the chicken well. Put the chicken on a plate, covered in batter. The oil should be hot enough to cook, now. Using a metal or plastic heat resistant strainer or tongs, put half the chicken in the deep fat fryer. Set the kitchen timer to 15 minutes. After fifteen minutes, carefully remove with a different set of tongs or large heat resistant implement like a strainer or a metal spoon. Put on a plate to drain. Put in the second batch. Remove the chicken from the deep fat fryer. Unplug the fryer and let the chicken cool for at least twenty minutes. Yum. * Why you need a deep fat fryer–it’s self-contained and temperature controlled. No kitchen fires and no mess. You can’t even open it without being able to read well enough to push the not-obvious open button, although I would keep it away from the edge of the counter if you have curious toddlers or large dogs. Cleanup consists of letting the deep fryer cool for an hour, pouring out the oil into the trash, and then wiping out the interior with a paper towel. You should probably not save the oil–the New York Times says that the frying oil turns to acrylamides (plastics) with the first use. Actual cost: About $10 for five people, which includes the price of the deep fat fryer, assuming you make this ten times a year.